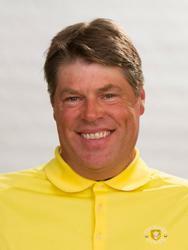 Jason Erickson began his journey in the golf business as a caddy at Midland Hills in 1978. The first time he broke 100, 90, and 70 were all at Keller Golf Club. Jason has worked in and around St. Paul as a ball shagger, range picker, instructor, manager, head golf professional, and director of instruction at various stops along the way. I BELIEVE EVERYONE CAN BREAK EIGHTY AND MOST PEOPLE CAN LEARN TO SHOOT UNDER PAR. But only if you actually know what it is you're trying to do in the first place. This is not as easy as it sounds, but not nearly as hard as everyone else will tell you it is. I have spent the last six years working with Tom Kirkland, honing my skills as an instructor and refining my learning system so that it is accessible to everyone. I have devoted my life to understanding the golf swing and at the age of 50 I can honestly say that I hit the ball better now than when I was 25. The reason for this is that I actually understand what to do. If you would like to know what to do, shout me up next time you see me at the course, or better yet sign up for one of our classes and get the ball rolling.